Andrew McCutchen, known mostly from his pitch name as "Cutch" from his professional American baseball outfield journey playing for the Philadelphia Phillies of Major League Baseball. Andrew, who previously played for the Pittsburgh Pirates, San Francisco Giants, and New York Yankees likely seems to enjoy his personal life far more than his career. Yes, Andrew and his child of one year have a strong bond like no other father-son duo. Without further ado, let's sneak into the beautiful love life of Andrew McCutchen, including his married relationship. The American baseballer Andrew McCutchen married his wife Maria Hanslovan in 2014. The big ceremony was held in Pittsburgh at St. Paul Cathedral in Oakland on November 22, 2014. 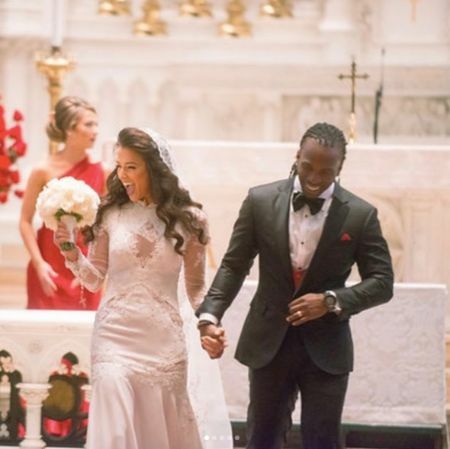 Andrew McCutchen and his wife Maria tied the knot in 2014. Like few others, their love life turns to be unique as he proposed his then-girlfriend turned wife amongst the million spectators. As a matter of fact, Andrew reached his future wife, during the episode of “The Ellen DeGeneres Show” on 11 December 2013. 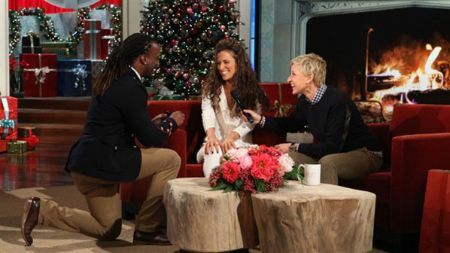 Andrew McCutchen proposed his girlfriend on The Ellen Show. Talking about their children, Andrew McCutchen and his wife got an early Christmas gift in 2017. Yes, they became the proud parent of their first baby, Steel Stefan McCutchen on November 27, 2017. In the meantime, Andrew also shared his happiness amongst his followers on Instagram following the birth of his baby boy. Steel Stefan McCutchen born 11/27/17 at 3:21 AM. 8lbs 15oz. I am so thankful for a healthy baby and wife. Watching my wife go thru this journey has made me appreciate,respect and love her even more than I already do. She literally is Superwoman in my eyes. Now, here lays my son. Seeing you for the first time is something I cannot put into words. I am already a proud daddy! Thank you God for giving me the gift of a baby boy!Okay I gotta go and stare at him some more?? Prior to that, in the month of June, Andrew and Maria announced that they were expecting the baby while sharing a video on Twitter. As of now, the pair gives love goals to their fans as there are no controversy and misunderstandings grown or implanted in five years of their romance. To their future, we wish a happy and long life journey and also awaiting the good news of their second child pretty soon! The new Philadelphia star or may we call him by name now Andrew McCutchen the baseball outfielder is all set for the Phillies and now have agreed to a $50-million, three-year contract. Andrew McCutchen moves to Philadelphia Phillies. Some close sources reported that the agreement, which includes a club option of $15 million and a $3 million buyout for 2022. Andrew was an all-star each season from 2011 to 2015 and spent nine years with Pittsburgh before he was traded to San Francisco winter of 2017. 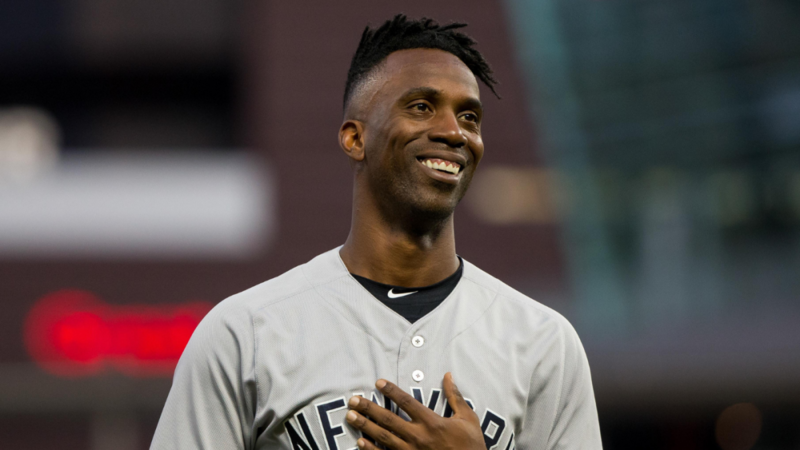 Above all, McCutchen dealt the New York Yankees on August last year by 225 hit and with 20 homers including 65 RBIs in 155 games overall this year. Andrew Stefan McCutchen was born on October 10, 1986, in Fort Meade, Florida. His parents are Lorenzo McCutchen and Petrina Swan. In fact, his parents were not married during his birth and they finally tied the knot in 1992. Andrew who studied at the Carson-Newman University and his sister were raised by his mother and his father. Raised in a very religious family, McCutchen later enrolled in the University of Florida. As of 2019, Andrew McCutchen's estimated net worth is $30 million.